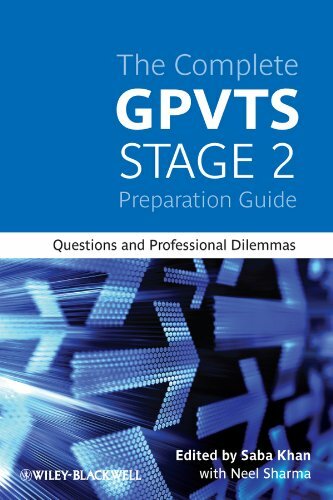 Ease the pressure of the GP Vocational Training Scheme Stage 2 exams, and ensure your progress to Stage 3, with this complete preparation guide Featuring all question types from the exam, including SBAs, EMQs and Professional Dilemmas, and covering a range of medical and surgical specialties, this invaluable guide not only tests appropriate application of clinical knowledge, but encourages doctors to think logically and ethically - vital in recognising appropriate behaviour in professional dilemmas. The opening section provides handy advice on how to prepare for the exam and explains what the question setters are looking for - the key to success in Stage 2. Based on the contributors own experience of typical problems and dilemmas, and including thorough explanations for each answer, this book is not just an exam crammer, but a valuable learning tool.